All housing accommodations are arranged from the Sunday evening before the course begins through the Saturday morning after the course ends. In extraordinary cases, the school can book an additional night (Saturday/Sunday), however, requests for those extra nights should be made well in advance. Please note that there will be a charge. The address of the accommodation, plus any relevant details and instructions will be sent to students approximately ten days before their arrival. It is extremely important that students notify the school or the host of their arrival time in Siena at least four days in advance ! Bed linens are provided free of charge and changed at least every two weeks. Students will receive keys to the house/apartment and have the right to use them at any time. 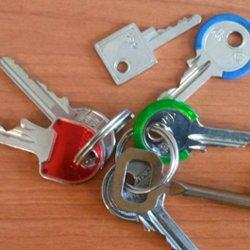 Students should safeguard their keys and not lend or give them out. Electricity, gas, water, local costs and taxes are included in the price of the accommodation. Washing machines are not always available, but many of the accommodations offer laundry facilities. There are self-service laundromats in the city that are generally open from 8 am to 10 pm. Rooms include a bed with pillow, bedside table, study table with chair, wardrobe, a light next to the bed and a lamp on the study table. The kitchen is equipped with a refrigerator, gas stove, basic cooking utensils, dishes, cutlery and cleaning equipment. The apartments are cleaned before your arrival. During your stay, you are responsible for the cleaning of your rooms and of the rooms used in common (kitchen and bathroom). Staying with a host family is not like being in a hotel. Students must adapt to the host family's way of life and routine. Vegetarians and others with dietary needs: We will do our best to provide a host family that is sensitive to your dietary needs, but, a little flexibility on the part of the student can go a long way toward making the home stay successful.